Madness. Mayhem. These are not only words to describe the Mayan Calendar debacle, but they also describe the scene going on around me whilst on my most recent Issues Etc. interview. It's always a joy and an honor to be a guest on Issues. And this interview was based off of a recent article I had posted both on my blog and on Brothers of John the Steadfast this past week: Mayan Madness. And now back to the madness. Fridays are my day off with Zoe...daddy daughter days. And they are generally as fun and crazy as you would imagine. Toys scattered everywhere. Cartoons watched. Rabbits fed and harassed. We laugh. We cry. We nap (well, she does and I clean up). We run outside in the rain without our socks on. We watch Bubble Guppies. Joy is not only the serious business of heaven, but every minute of life in Zoe's world. And I wouldn't trade it for anything. Today we embarked on a new endeavor: Radio Interview before nap time! And on a cell-phone at that! So, despite the mad, mad, mad, mad world going on me I am glad, glad, glad, glad it was. By the grace of God, the interview went well too and as always it was a joy to have Issues today. Today, November 29th, 2012, is C.S. Lewis's 114th birthday, three years past his eleventy first celebration. Why celebrate the birthday of a man long since sainted? Well, it's still his birthday, after all, even though he no longer ages. And though he now rests from his labors, his labors do not rest among us. His writings continue to awaken our imagination as we crawl through the wardrobe into Aslan's domain. His essays and books continue to defend the Christian faith and point the faithful and the skeptic to the endless joy he longed for. And on the date of his birth, I can't help but recall one of my favorite Lewis quotations on "growing up." In our youth we look with haste to our birthdays; we long to grow up and become an adult. But the more you age and grow up the more you long for the simplicity of childhood. Indeed, in Jesus' own manner of teaching, we must all become like little children and thus enter the kingdom of God: utterly dependent and with complete trust and contentment in our heavenly Father. Thus we are reborn in Baptism and cry out Abba Father! And we dare not blush at the thought of being made into little children. Lewis certainly did not. We welcome child's play in the Biblical manner of speaking. It especially enlightens the reading of good books, including my favorite, fairy tales. To be concerned about being grown up, to admire the grown up because it is grown up, to blush at the suspicion of being childish; these things are the marks of childhood and adolescence. And in childhood and adolescence they are, in moderation, healthy symptoms. Young things ought to want to grow. But to carry on into the middle life or even into early manhood this concern about being adult is a mark of really arrested development. When I was ten, I read fairy tales in secret and would have been ashamed if I had been found doing so. Now that I am fifty I read them openly. When I became a man I put away childish things, including the fear of childishness and the desire to be very grown up (C.S. Lewis, On Three Ways of Writing for Children. Of Other Worlds: Essays and Stories. Harvest Book, London, 1966, p. 25). 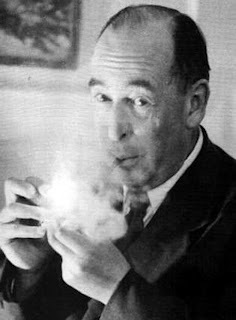 Happy Birthday, C.S. Lewis. And thank you for your writings, which continue to point this child to the One who became a Child for us that we might become children of God. And here's a party favor, just in case you want to read more, a great blog post commemorating the occasion. In this catechism-style post, I’ve prepared a few responses to popular questions about the end-times hysteria surrounding the Maya calendars, the year 2012 and eschatology in general. It is intentionally concise and designed for use by pastors and laity as a bulletin insert or newsletter article. If you find this pithy piece to be of use and service in your home or congregation, it is yours for the taking. After all, all theology is plagiarism. What do Mayan calendars, mayonnaise and mayors have in common, aside from the fact that they begin with the letters “M,” “A” and “Y”? Zero. This also happens to be the precise amount of doomsday predictions actually made by Maya calendars, despite what you might have heard on the airwaves or seen at the box office. Over the past several years, the mysterious Maya calendar has remained at the epicenter of pop-culture and pop-Christianity’s chronic addiction to End Times mayhem. Men like Hal Lindsey and Harold Camping have routinely proven it really is mad, mad, mad, mad world. Although these predictions will go the way of the Mayans, mankind’s obsession with conspiracy theories and end-times predictions, sadly, will never go away. So, here are a few questions to help clarify the present issue of the Maya calendar with the sobering clarity of Jesus’ Word on His return in glory. It is a system of keeping time used by the Mayans in parts of Guatemala and Mexico in what is known as the Pre-Columbian Mesoamerican era, although many highland villages still use similar forms of horology. It was primarily based off a 260 and a 365 day count, incorporating cycles of 13 and typically a round in format. The circular design of their calendar also reveals their concept of time, influenced by mythology, astronomy, recurring natural events and a cyclical interpretation of the world around them. The Maya calendar used their mythological dating of creation and the world’s origin when arranging their calendar. In addition to these components, the Mayans also used what is known as Long Counting. ...So what's so important about December 21, 2012? The Long Count date will be 13.0.0.0.0, which is not only a major period ending, but a recurrence of the date of creation as well. But, as sure as the sun rises, the next day will be 13.0.0.0.1, and the cycle will continue. There are different lines of evidence from the sites of Tikal, Palenque, and Yaxchilán that the calendrical cycle will continue until at least 19.0.0.0.0, or A.D. July 13, 4378, at which point it would either reset to zero or begin a higher order of reckoning using six places instead of five (e.g. 1.0.0.0.0.0)" - Mark Alan Wright, A Mayanist Debunks 2012. Does the Maya Calendar end on December 21, 2012? No. Like all calendar systems, the Maya calendar is complex. Scholars and archaeologists continue to study these artifacts as new information surfaces. In a recent discovery last May, archaeologists documented further evidence against the alleged theory of the world’s end on December 21st. In fact, due to the difference between the Gregorian and Maya calendar, some scholars claim that the end of the Maya calendar has already come and gone on October 28, 2011. As scholar, Mark Wright points out: "Contrary to popular belief, they did not predict the world would come to a cataclysmic end or that there would be a devastating reversal of the earth's magnetic poles. Nor did they prophesy of a galactic alignment, a harmonic convergence, or even a winter solstice…These ideas have no basis in indigenous beliefs, ancient or modern. To be clear, there are no ancient texts, no legitimate modern oral traditions, or anything in between that lends credence to any of these claims" - Mark Alan Wright, A Mayanist Debunks 2012. 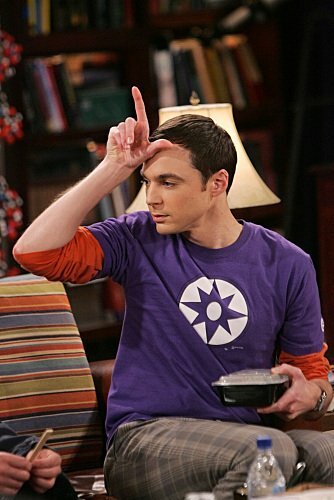 Will December 21st, 2012 be a day of death and destruction? No, at least not like it’s been hyped out to be. The Mayans believed in a series of four previous “ages” each revolving around the destruction and rebirth of creation, much like the Aztecs and the Legend of the Suns. However, much of Mayan mythology is largely unknown and historical dates are either unknown or unverifiable, a clear contrast to the events of the historical record of the New Testament. The major events of Jesus’ life and work are verifiable for these things did not happen in a corner (Acts 26:26). Unlike Mayan mythology, Christianity is open to empirical investigation and our faith is founded on the most reliable set of historical events in our knowledge of the ancient world: Jesus’ death and resurrection. And though we do not know the day or the hour of Christ’s return, Christians can be confident that when He comes again, it will not occur in the sensational manner depicted by Hollywood. For those in Christ there is no need for despair or doubt. Jesus’ teaching on the end times is to prepares us for His return and give comfort, not excite fear and confusion. Where did the frenzy surrounding the Mayan Calendar originate? In the Last Days, people prey on others’ insecurities exciting fear and instilling doubt. The recent Maya calendar madness is similar to the Y2K-aos we saw in 2000. Media hucksters and snake oil scholars will say or write anything to make headlines or meet the bottom line. Proponents typically draw upon unreliable sources and questionable sources while the philosophical underpinnings flow out of New Age mysticism, astrology, and Eastern philosophy. There really is nothing new under the sun. How should Christians react to this, and other end-times predictions? First of all, we should discern the times we live in. Since Jesus’ death and resurrection, we are living in the Last Days. And in the last days many will turn away from the truth and find false teachers to sooth the Old Adam’s itching ears (2 Timothy 4:2-4), no matter how it’s repackaged. Jesus also predicted that in this world we will have trouble (John 16:33) but to fear not, for he has overcome the world and has promised to always be with His Church (Matthew 28:18-20). Secondly, anyone who attempts to predict or claim confidence in knowing the date of Jesus’ return is sorely mistaken teaching contrary to Jesus’ own teaching. Based on the Scripture’s lucid witness, we know that 1) Jesus will return (Acts 1:7); 2) neither we, nor the angels nor even the Son of God, but only the Father knows the exact time (Mark 13:32); and that therefore 3) we should be prepared, keep watch and stay awake (Matthew 25, Mark 13), always being prepared to give a reasoned defense (apologia) for the hope that is in us (1 Peter 3:15). And finally, though man has twisted Jesus’ words causing great folly and error, we do not on that account throw out the doctrine altogether. Rather, we confess this article of doctrine faithfully each week in the Creeds. There is no better preparation for Christ’s second Advent than his ongoing Advent in the Holy Supper and the living voice of the Gospel. In the Divine Service Christ continues to dwell among us preparing us for His return. Ultimately, this is the chief purpose for Jesus’ teaching on the End Times. Not to cause confusion and despair, but give consolation and hope. In mercy, he delays his return (2 Peter 3:9). And until He does, He keeps our feet from stumbling and presents us as blameless in His presence (Jude 24-25). Even so, come quickly, Lord Jesus (Revelation 22:20). I've always found the fig to be a funny, odd sort of fruit. Ficus carica, also known as the common fig. It's so common in fact that we take it for granted that figs are an important fruit in the Scriptures. Jesus ate figs long before they became a trendy super-fruit in pudding (and ridiculous Christmas songs), Jamba Juice smoothies and of course my favorites, Fig Newtons. Maybe it's because they look funny or because they've been abused and misused in so many holiday dishes, but we rarely think about this fruit's significance (or should we say, fig-nificance...sorry, couldn't help myself) in the Scriptures. That is, until Jesus uses the fig tree as an illustration both of the temple's destruction and his own return in glory (Mark 13). Of all the flora available in ancient Israel, Jesus mentions a common fig tree. Why not a palm tree or an olive tree or a pomegranate tree? What's with the fig? At least three reasons come to mind: 1) The nature of the tree and its fruit. Figs are peculiar; normally they bear a rather mundane, pear-like appearance. There's not much to look at on the outside. Its beauty is hidden, locked inside a hollow, shell-like receptacle. Only when the fruit is cut open do you see the rich colors and seeds, the unseen flowering jewel of the fig tree. The town of Bethpage receives its name from this tree, meaning "house of figs." Fig trees also happen to be plentiful and hardy. Jesus would have had about as much trouble finding a fig tree as we have finding a Starbucks. 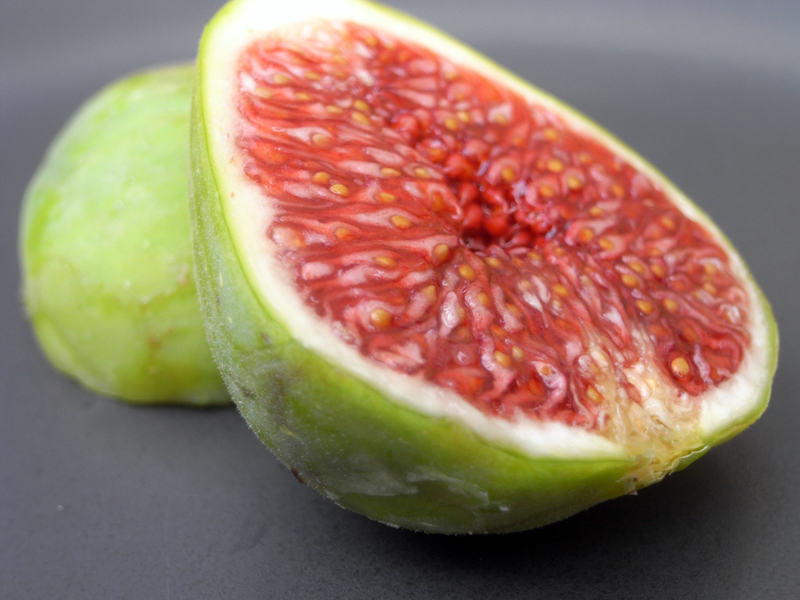 Different varieties of figs are available in season at least nine to ten months out of the year. Being fruit trees, they lose their leaves and regain them again, just as Jesus mentions. Also, their fruit ripens on the branch. Both images give us a visual, agricultural illustration of Jesus' promised return: fruit ripening, ready for the picking and harvesting and, of course, eating! And the fig tree springing back to life. Not a fig tree in the dead of winter, lying dormant. Although the Scriptures do use the fig tree as a warning and illustration of judgment (Isaiah 34:4; Jeremiah 5:17; 8:13; Hosea 2:12; Joel 1:7; ; Matthew 21:19; Mark 11:13). GOD HATES FIGS PIC. 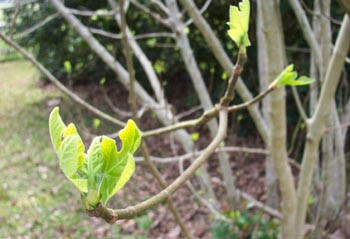 But rather, the fig tree with its sap surging through its branches; leaves sprouting. Spring time giving way to summer. A sign of growth, not decay.A sign of life, not death. A sign of the new creation, not the old. The endless summer is near. Christ is at the gates. Keep watch! 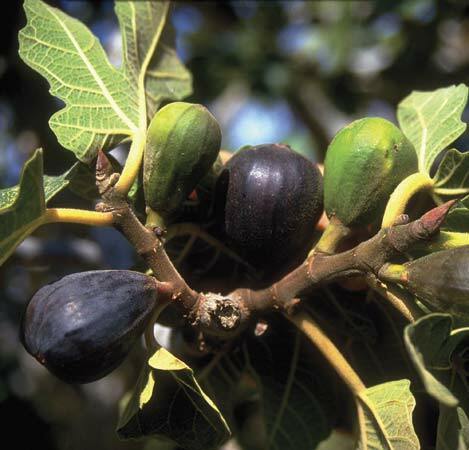 And that leads to one last horticultural significance of the fig tree: it's typically planted typically near vineyards, provides a great deal of shade with its thick canopy and feeds off of deep, cool water. (Similar to Old Man Willow in The Hobbit - 'What be you a-thinking of? You should not be waking. Eat earth! Dig deep! Drink water! Go to sleep! Bombadil is talking!') All of theses images form a grove of eschatological biblical images signalling the coming Messianic kingdom and Christ's new creation. Jesus compares the Kingdom of God to a tree upon whose branches the birds gather (Matthew 13) and Revelation reminds us that the lush shade of the fig tree also foreshadows the very presence of the Lamb in his kingdom who shelters his saints with his presence. The scorching heat of judgment and Satan's fiery arrows will not strike us there as we rest beside the still waters flowing from the throne of the Lamb (Revelation 7 and 21). 2) Throughout the Old Testament, the nation of Israel is also compared to a fig, at times for judgment as noted above, but also as a sign of Israel's vitality on account of YHWH's blessing (1 Kings 4:25; Micah 4:4). Hezekiah is even cured of boils when a cake of figs is placed upon his wounds. 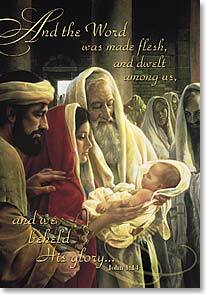 In Jesus day, the nation of Israel had ripened with expectation for a coming Messiah. 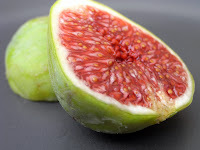 The one they got was a lot like the fig: rather odd looking and seemingly insignificant. But this Messiah was ripe with salvation. Thus it was in the fullness of time that God sent forth his Son, fruit of a Virgin's womb, conceived by the Holy Spirit, born under the Law to redeem us who are under the Law. From Mary's womb sprouted Abraham's seed and the seed of the woman that had been promised to Eve - and all creation - before hand in the form of a curse to Satan. "Truly truly I say to you, heaven and earth will pass away, but my words will not pass away," Jesus says. How fitting. 3) It's no accident or coincidence that Jesus uses the fig tree for his divine object lessons. 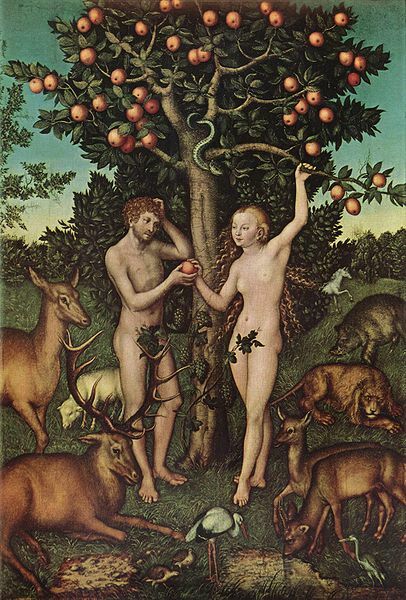 After all, it was a fig tree that gave its leaves to cover Adam and Eve's nakedness and shame. They did not want to reveal their wayward humility before YHWH. But God uncovered their sin. He knew the truth. Just as Christ will come to reveal all things at his judgment - both sin and righteousness. But the hope and comfort of the Last Day is that we will not stand before God in nakedness and shame covered in fig leaves or any other filthy garments of self-righteousness. Our dead and decaying garments of the fall have been replaced. Instead of a leafy death-shroud, we are given new robes, washed and made white in the blood of the Lamb. Just as there was a sacrifice in the garden to clothe Adam and Eve from humility and shame. So too, there is a greater sacrifice to clothe you. You are clothed in Christ's humility; He bore your shame and guilt and death for you, just as he did for Adam and Eve. Leave your fig leaves behind and rejoice for you are covered in Christ's righteousness, without shame, guilt or sin; you stand before God justified a new creation. Christ hung in nakedness and humility and shame so that we can stand before the Father clothed in Christ's peace and righteousness forever. He bowed his head so that we could lift up ours in praise and thanks forever. He took on our filthy garments and clothes us with his death and resurrection. He bore the scorching heat of God's wrath and judgment over sin so that we can sit in the cool shade of his cross and await his second coming. And like the fruit of the fig tree, Christ's glory is found in His wounds, in being cut open for the sins of the world. Christ's salvation is plentiful and abundant. In Christ you lack no good thing. His vineyard is fruitful and fills to the brim our cup of blessing. As we sing in the hymn, Christ's cross is now our tree of life that bears fruit in all seasons for us. New life. New heavens. New earth. New you. By pointing to the fig tree as a sign of his return Jesus is pointing to the new creation that springs forth out of the root and stump of Jesse, a living shoot. All that Adam had sown Christ reaps and sows salvation for us by water and the promise that it will grow and live as he has promised (Isaiah 55:10). Adam's fig leaves were a sign of guilt and shame. But Jesus undoes all that on the cross. The curse is cast out. And Eden is restored to greater glory. Jesus' fig leaves are a sign - not of sin and death - but of life. Life in his cross. Life in his resurrection. Life in his return in glory. Life in his kingdom which has no end. Life in the fruit of his death and resurrection: the succulent wine of his blood that is pressed down and shaken out in his passion; take, drink! He gives you his flesh as bread, the harvest of fine wheat, sifted in Satan's sieve, baked in the fire of God's wrath and given to you to eat. Paradise is restored in the Holy Supper. Taste and see that the Lord is good. You are rooted in that goodness and mercy, grafted into Christ the vine by the cool, deep water of the font. Your Baptism buried you into his death like a seed so that what was sown in corruption might be sown incorruptible in Jesus resurrection. And like the fig, you too bear fruit. All of this is a sign - not yours or mine - but Jesus' sign. A sign that the gardener will tend and prune his plants (when he must) and will bring to ripen, a harvest unlike any other. For he himself is the first fruits of our resurrection. From the fig tree, learn its lesson...When its branch has already become tender, and puts forth leaves, you know that summer is near. So you also, when you see these things happening, know that it is near—at the doors! 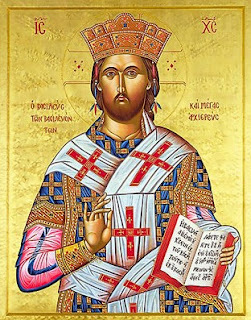 O Root of Jesse, standing as an ensign before the peoples, before whom all kings are mute, to whom the nations will do homage: Come quickly to deliver us. Sermon for the Sunday of the Fulfillment: "Endings and Beginnings"
Today is a day of endings and beginnings. The Sunday of the Fulfillment. The end of the church year. 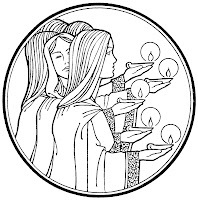 Next week Advent begins a new church year. Both point us to Jesus’ second coming, to the last act of the play. The final movement of the symphony. The closing chapter of history. The end and yet also the beginning of the greatest story ever told. Endings and beginnings. Today, Jesus sets His church on end-times red alert: “Watch. Keep awake.” While the rest of the world is spiritually asleep, Jesus would have His believers alert and ready, like a little child waiting by the door for mom or dad to return home: da! da! da!. She doesn’t know when, so she’s always alert, always ready, always watching. But after 2000 years of waiting, Jesus’ call to end-times alertness begins to sound like the boy who cried wolf. It doesn’t mean anything to us anymore. The press of our work and social calendars crowd out the significance of any end of the church year, end of the age considerations. We may have constant lurking notion that the world will end some day, but we also have false confidence that it isn’t likely to end today, tomorrow, or the next day. We live foolishly like those bridesmaids who thought that a little oil was enough; they never expected the groom to show up at midnight. We’re either too complacent or too fearful. No wonder, from the mouths of sensationalistic pastors, or the media frenzy –Mayan calendars and end-of-the-world predictions - you might get the impression that the only reason people talk about the Last Day is to excite fear and fill their wallets. Deception. Hysteria. Confusion. Chaos. Such are the devil’s tools in these Last Days. And if Jesus’ end-times teaching has left you in a panic, hiding in a bunker, like a Zombie apocalypse movie, well, you’ve missed the point. To be sure, Jesus warns us – as he did the disciples: “Keep watch. Stay awake. Be on guard. You neither know the day nor the hour.” Our natural reaction is dread, terror anticipating destruction. And while that’s certainly true, it’s not the whole truth. For when Jesus speaks of the end, he uses the sign of the fig tree – not with its shedding leaves and dormant, dead-of-winter hibernation - but with its sap rising and its leaves budding: summer is near! Where our world sees nothing but destruction, Jesus points us to the End with signs of life. St. Paul calls these the “birth pangs,” the labor contractions of the new creation that arrives with the coming of Christ. Labor and childbirth is painful (or so I’m told). Yet the outcome is so joyous and wonderful that the pain is soon forgotten, or the memory is at least diminished, otherwise we’d all be only children. But for the baptized Christian, Christ’s return isn’t a Day for chaos and confusion, but comfort and consolation. Search the Scriptures, Lutheran Confessions, Small Catechism, the rich hymns in our hymnal and you’ll hear the same message. They too speak of endings and beginnings: Of Adam’s death and Christ’s triumph over sin. Of your sin and guilt and Jesus bearing it for you. Of your drowning and your resurrection in the waters of Holy Baptism. Of the Paschal Lamb who gives his life to feed you with his own. Of a two-edged sword that kills and makes a live. Of those who die in Christ and yet are asleep awaiting his final word to the faithful: Arise! So it was for our sister in Christ, Pauline, called to the church triumphant this past Thursday. Thanksgiving Day took on a different and better meaning for her. The same is true of the Last Day for all the faithful departed who have fallen asleep in Jesus, whether our end comes at Jesus’ return or our own death. Earthly life ends but so does sin and death. Resurrection and a new creation awaits. The end of all labors. The end all suffering. The end of sin and death once and for all. And the beginning of Christ’s new life for you...in his kingdom which has no end. Yes, the Day of Jesus’ coming is a day of judgment. But judgment cuts two ways: one can be judged guilty and sentenced to punishment; or judged innocent and set free. But take heart, you were already judged on Jesus’ judgment Day, the day He came not to judge but to be judged. The day when He took your place on a cross, took your sin into His sinless life, embraced your death in His death, was condemned with the condemnation you deserve. That Good Friday when the Son of God died for the sins of the world was a Day of the Lord. And we know where that Day led – to resurrection, to life, to glory at the right hand of God. And that same verdict is pronounced over your head in your Baptism, where you were united with Jesus in His death, His life, His glory. You were clothed with Christ. You were put “into Christ,” made a new creation. “The old has gone, the new has come.” In Christ you are already glorified, already in the new creation. What we wait for is to take possession of this in our own bodies raised and glorified. And so the end of all things old also means the beginning of all things new. 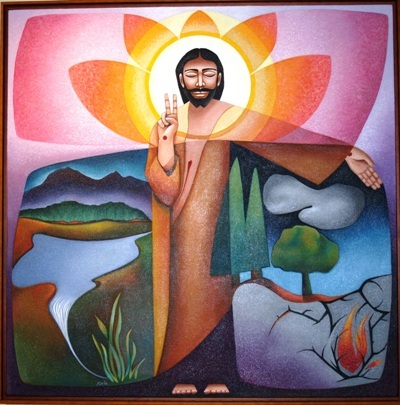 “I am making all things new,” Jesus says. A new heavens, a new earth, a new you. But how do we live in these Last Days? Jude exhorts us to “build ourselves up in our most holy faith.” Not by staring at our navels or our believing, rather, by being immersed in what we believe and why. Keep watch over your study of the Word. Not like a last minute cram session for an exam, but like your favorite book, cover-worn, pages highlighted and falling apart. Like a little child reading books: Again! Again! Read. Mark. Learn. And inwardly digest His holy Word. Catechesis is life-long; not just until confirmation. What greater word is there than Christ and His Word as we prepare to meet Him face to face? Along with the Word comes prayer. “Pray in the Holy Spirit.” The Last Days are a time for holy conversation with the One who is coming. To pray “in the Spirit” doesn’t mean to pray incoherently or without understanding. We pray recognizing that we don’t know how to pray, knowing that the Spirit Himself intercedes for us with sighs and groans beyond words. He delivers God’s Word to our ears, and our words to the Father’s ears. “Keep yourselves in the love of God, waiting for the mercy of our Lord Jesus Christ that leads to eternal life.” To keep in the love of God receive receiving His love toward us – hearing His Word, receiving Christ’s Body and Blood, taking in the words of forgiveness and life. As He comes to us now by Word and water, body and blood, we are being prepared for His second coming. Divine Service is your best preparation. We go to the Lord’s Supper as we go to the Last Day so that when the Last Day comes, we go as we would go to the Supper. Enter with joy; depart in peace. Lastly, Jude says, “Have mercy on those who doubt.” He turns us to our brother. Doubt and faith always run together because we believe in things unseen. The church is a body; there’s safety in numbers. The isolated believer is always vulnerable. We need one another, sometimes to stick out a rescuing hand and pull us from the fire of error and unbelief. That hand may leave a temporary bruise, but if someone were about to be run over by a truck, you wouldn’t worry about a black and blue mark, would you? We’re called to watch out for each other, care for each other, support and even rescue each other, loving each other as Christ loved us. And that’s the comfort here, on this Sunday of the Fulfillment. Jesus is the One who keeps us from stumbling and presents us blameless at the end. Not us. Not our religious efforts, our works, our piety, or anything. Jesus keeps us blameless in the robe of His righteousness; Jesus keeps us from stumbling by His steady feet that have trampled sin, death, and devil. Christ is your beginning, your end, your Alpha, your Omega, your life and your salvation: yesterday, today and tomorrow. And that’s how our world – and our sinful nature - understands gift-giving, no matter when it happens: not a gift, but a transaction, a bargain, a deal. We give in order to get in return. To our old sinful nature, gifts are marked Free with an asterisk. There are always conditions or strings attached to our gift giving. Now I’ve gotta do something for you. Give something back. Measure up. And we treat a day of Thanksgiving no differently. Obligation. Duty. Somehow, we must give God a gift of equal measure – a thank you note worthy of his appreciation. But there’s the hang up; you can’t. What could you possibly give that Jesus doesn’t already have? If life and forgiveness with God is a transaction, our sin leaves us dead every time; sorry, but your card is denied; your credit is no good here. We’ve got it all backwards. In the fullness of time God gave His only begotten Son, to be born of a Virgin, to be born under the Law to redeem us who are under the Law. He was given up, betrayed. He gave his hands to the nails and his head to the thorns and his body to the cross. Thus he bowed his head and gave up his spirit in order to give you life. Jesus is the gift. The same body born of Mary, the body that healed and taught and suffered and died and rose – is the same body given to his disciples on the night in which he was betrayed. And He gives you that same body and blood in the holy Eucharist, the only Thanksgiving Meal in town you’ll feel better after eating and drinking; there’s always room for more Jesus. This is how God gives. No strings attached. No asterisks or fine print. No deals. Jesus gives unconditionally. Without any merit or worthiness in you. It's not a deal, it's a gift. Undeserved. Free. In a word: love. God loves the world in this manner: He gives us Jesus. And Jesus gives himself on the cross, selflessly, in utter humility for the world, for you. A gift given. Wrapped in swaddling clothes. Hung on a cross. Raised from the dead. It's a fact whether you believe it or not, want it or not, like it or not. And that’s how Jesus gave to those 10 lepers. Jesus didn’t ask for permission or if they had decided to be healed or not. He just up and healed all ten out of pure divine goodness without any merit or worthiness in them at all. But look what Jesus gets in return. See! I told you so, Jesus; that’s not how gift giving works around here. How many came back? Nine. That’s right! Nine! Nine never returned thanks. Didn’t even take a few minutes to say, “Thanks Jesus! Really appreciate it! You’re a life saver!” No thank you card. No email note. Nothing. Nada. Zip. Zilch. Zero. Giving is risky business. The high priestly gifts of Jesus and His high priestly benevolence often go unappreciated. Abused. Sadly, even rejected. Maybe it would be safer and smarter to not give at all then. No discouragement. No obligation. But also no love. Thankfully, Jesus takes the risk. Takes the chance. Sets no conditions. Does no pre-healing interviews to see who deserves his grace; or who’ll say a proper thank you. He heals all ten. 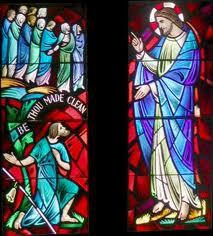 Then off He goes to Jerusalem, to Good Friday, to His High Priestly work of dying for them. For you and for me. And some, even many don’t’ give a flying . . . Nine to be precise. Except for that Samaritan. The most unlikely and unworthy recipient of Jesus’ healing also happens to be the one who understands Jesus’ gift most clearly. He returns thanks. Not out of obligation or to cut a deal. But in faith. He fell at his feet. With a loud voice and gave thanks. And like the Samaritan we stand before Jesus tonight, as we do every Sunday, always as beggars with empty hands, unlikely and undeserving and unworthy recipients though we are. We receive everything we have as an undeserved gift from Him. Giving thanks simply shows that we have heard the gospel and have received God’s grace. That we believe in Jesus who risked everything for us and for our salvation. For Jesus doesn’t benefit from our thanking Him. We do! It's just like Divine Service. God doesn't need your worship, but you need the gifts He's giving out. Yes, it’s the other way around. The more we thank God the Father through Jesus Christ His dear Son, the more we recognize how generously and bountifully He deals with us. And how abundant Christ’s forgiveness truly is: In Jesus death you are given life. And Jesus’ cross is the giving tree. From his death He washes you in blood and water, giving you new life and new birth in Baptism (just as Aubrey received tonight). Now, go and show yourself to your Great High Priest. For he has shown his sacrificial death before the Father. He is risen and ascended to the throne. And you stand in his presence cleansed. Holy. Forgiven. Healed. Made well. Saved. And, yes, thankful. For God can't help Himself. He loves to give. He loves giving out gifts to His children. And He loves when His children receive His gifts. It is the Father's joy that you receive the gifts of creation, the gift of His Son, the gift of salvation, the gift of the Spirit and new life and adoption and the opportunity to call Him Father with delight. And what do you say to such gifts? What can you say on any day to give thanks – today or any day? "Oh, you shouldn't have?" Of course not! Simply Amen! Gifts received with joy and thanksgiving. That’s the best thing you can do to give thanks: keep receiving Jesus gifts, his word, his body and blood with joy. So, rise and go your way – to your homes and families, to the couch the dinner table or the shopping mall, to the backyard or the park, wherever you go – go your way in the peace of Christ Crucified. For your faith – and that is Jesus’ great gift to you – has made you well. A blessed thanksgiving to you all. 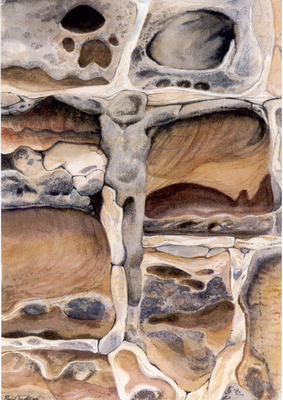 Sermon for 25th Sunday after Pentecost: "Indestructible Stones"
Stones. You can polish, stack them, or skip them across water. Carve, sculpt or build with them. Natural wonders and marvels. From the miners’ halls Machu Picchu – the world over, the stones speak power and poverty, triumph and tragedy, fame and folly, beauty and bane, wonder and woe, remembrance and ruins. It was magnificent and majestic, feet of engineering. However, its splendor was short lived. Solomon’s warning of vanity was ignored. You could count on two hands the years between its completion and its utter destruction. Say it ain’t so? The temple was the center of their religious world. The place of future hope and salvation. Mount Zion. YHWH’s promised dwelling among Israel. Destroyed? No, this ship is unsinkable. What glorious stones! And just like the Titanic, pride was its downfall. For YHWH’s promises, sacrifices and atonement of sins were no longer the center of the temple and the life of the people. His house of prayer had become a den of thieves. The firm rock of God’s Word had been undermined by the shifting sand of man’s opinion. The righteousness of YHWH had been exchanged like a tax collector’s coin for their own self-righteousness, a mere façade. It was no longer the house of the living God, but a coffin. Such is the house that Satan builds: chaos, confusion and corruption. His foundation is built on half-truths and twisted words; he sits on a throne of lies. “Did God really say? If you eat of it you will be like God. Surely you will not die.” This is not a mighty – but a crumbling fortress; the stronghold of the gods of this world, but how it entices our flesh. The Church is tempted to erect the same kind of edifice today. How easy it would be to trade the Word of God for the word of man. How easy it would be to sooth our itching ears with prosperity and self esteem rather than our daily death and resurrection in Baptism. How easy it would be focus on moral platitudes and entertainment rather than the forgiveness of sins in holy absolution. How easy it would be to cater to our desires and felt-needs rather than the Holy Supper that cures our greatest need. The building plans of the world are broad and easy compared to the narrow way of the Kingdom of God. But we’re left with no mansion…no safe haven, only a prison. An endless slavery to sin, death and the devil. An impotent salvation. Like the three little pigs, we need something stronger than a house of straw and sticks and even bricks. We need the chief cornerstone that can weather the scorching arrows and fowl breath of the Big Bad Wolf. Such a Cornerstone you have in the flesh and blood Jesus. And behold, something greater than the temple is here. Ironically, the most glorious manner of stones were staring those disciples in the face, having a conversation with them; Jesus, the Chief Cornerstone: a stumbling block to foolish men but a refuge for sinners. 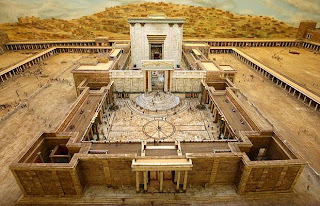 As Jesus left the temple that day, the Glory of YHWH departed as in the days of Ezekiel. But God’s glory was not gone. The temple was simply relocated in Jesus’ flesh. A new Laborer and a new House of the Lord, located in all places and of all people, in a carpenter’s Son, a baby. He who formed the foundations of the world was carefully built, layer after layer of cells and sinew, in the Virgin’s womb. Then this New Temple was dedicated in the very temple he was born to replace. And He taught in the temple accomplishing his Father’s business. Once again YHWH dwelt in a tabernacle wandering the wilderness. He would atone for sins. He would declare people holy. But the curtains were human flesh. The ark of the covenant walked about with dusty feet. Gritty hands. Sweaty brow. This temple pulsed with the holy blood of the Living God. And like a resolute contractor, Jesus set his face toward Jerusalem determined to get the job done. Healing the blind and deaf. Teaching repentance and forgiveness of sins. Setting the captives free. And for all this, what did he receive? The praise and fame of men? “O what glorious stones, Jesus.” No, he was despised and rejected by men, by his disciples, by his own family – even by you and me. Jesus fulfills his own prophecy: “Destroy this temple and in three days I will raise it up again.” And here is the life of the Church. Your life. Not in fame or glory, numbers or power but in the brick and mortar of Jesus body and blood. In a new temple framed with Roman nails and cursed timber. Jesus’ wounded hands and bloody arms envelope you like a temple courtyard, surrounding you with his life-giving death. 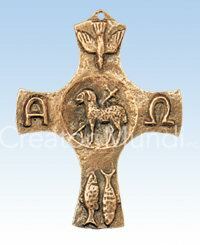 His pierced side is your gate to paradise: upstream you go, through the font, through Jesus’ death and resurrection t0 the Lamb of God who takes away the sin of the world. His thorn punctured head is the true temple mount where the Lord provides the sacrifice. The Lamb goes uncomplaining forth to his throne on Calvary, to be the priest and the mercy seat for the sins of the world; to make atonement for all people by his blood; to make for himself a holy people. Jesus is rejected by men and in his rejection is your salvation. But in the ruins – up from the ashes – of Calvary’s demolition stands your Chief Cornerstone. He is crucified in humility so you stand before God and boast in his salvation. For he has exchanged your self-righteousness for his own perfect righteousness. He is rejected by men so that you might be given an eternal home-coming, welcomed by the Father as sons and heirs. Jesus, the new temple is crucified, dead and buried. But he was not destroyed. Jesus fulfills that promise too: I will raise it up on the third day. The new temple still stands. Jesus sits on his heavenly throne for you. The church’s one foundation is Jesus Christ her Lord. You have come to the city with everlasting foundations, whose Builder and Architect is Christ. And from heaven to earth Jesus comes, bearing your salvation in the new temple of his body and blood. So do not fear. Jesus did not leave his church without building plans nor without laborers nor without His promise: never will I leave you, never will I forsake you. And the disciples needed that promise. Everything Jesus said in Mark 13 came true in during their life: deception. War. Famine. Earthquakes. Suffering. Persecution. Martyrdom. These were but the beginnings of the birth pangs. And we still feel them. In this world you will have trouble, Jesus says. The disciples knew trouble. We know trouble. But, fear not, Jesus says, for I have overcome the world. His promise, his atonement, his sending of the Holy Spirit, his forgiveness stands for you. You are built, just like his creation – out of nothing, into a holy dwelling, behold it is very good. You are God’s living stones, hewn with pierced hands from the Rock of your Salvation; You are cut from Jesus’ side, a redemptive quarry split open on Mt. Calvary, the place where mercy and water and blood ever flows…into the font, into the chalice, over your foreheads, into your mouths. You are his holy people, each one a member of His body and a temple of the Holy Spirit. And the Spirit continues to breathe Jesus’ life giving death and resurrection into your dry, weary bones. The Spirit trumpets Christ’s Word in your ears despite all the birth pangs you hear and see around you. Do not fear; do not grow weary or faint. Christ is your endurance to the end. 19 Therefore, brethren, having boldness to enter the Holiest by the blood of Jesus, 20 by a new and living way which He consecrated for us, through the veil, that is, His flesh, 21 and having a High Priest over the house of God, 22 let us draw near with a true heart in full assurance of faith, having our hearts sprinkled from an evil conscience and our bodies washed with pure water. 23 Let us hold fast the confession of our hope without wavering, for He who promised is faithful. 24 And let us consider one another in order to stir up love and good works, 25 not forsaking the assembling of ourselves together, as is the manner of some, but exhorting one another, and so much the more as you see the Day approaching. (Hebrews 10). I never shared C.S. Lewis' agony of school, although having read many of his letters and works I can understand why he did. When it comes to school and education, I remember it more in the pattern of J.K. Rowling and school-life in Harry Potter, a healthy dose of mischief and learning. And perhaps that's a bit nostalgic. But all nostalgia aside, I have many good memories of the seventh grade with Mr Reisig at Trinity Lutheran (and there are far too many stories to tell, most of which have something to do with his classroom antics, which you would never forget if you had ever sat in a desk in his classroom). As of late, his love of literature, ancient Greek mythology in particular, has continued to influence and shape my love of literature, mythology and story-telling. Perhaps that is where my love of literature began to grow (or at the very least, take on new life) - like one of Jack's magic beans. Story after story was planted in my brain whilst sitting in one of those old wooden and metal encased desk-chair combinations on Killingsworth listening to Mr. Reisig read and lecture on the finer points of Odysseus and the Sirens or Jason and the Argonauts. He did it with such ease and imagination, as if he was Homer before a captive audience in an amphitheater. The adventure. The clash of mythical beasts and heroes. The suspense. The language. The characters and wild creatures. The imagination and story sub-created a world in my head and my day dreams during other school subjects. Library time was never the same. And that classroom, with its uncomfortable desk, became a blank manuscript where epic tales were inked across my mind. A few years ago I took a chance on this book I had heard about from some of the youth group kids at church, Percy Jackson and the Lightning Thief. It was excellent. I wanted more. To the thrill and suspense of Greek mythology. The reading is quick and easy in both series. 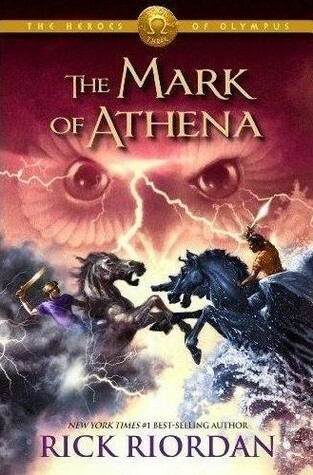 However, the plot, character development, adventure and compelling story-writing have continued in this second series that now includes both the Greek and Roman mythologies all while creating a modern mythology set in an American context: a new Titan war in the Percy Jackson series and the new war of the Giants in The Heroes of Olympus series. Thankfully, my hunger for more good stories was answered as Rick Riordan began to write another series: The Heroes of Olympus. And there I was again, reading Greek and Roman mythology at my desk. Back in seventh grade. Back in Mr. Reisig's class. But this time there was more. In these stories I see a glimpse of the true Story and the real Author, not gods but the true God, not a pantheon, but the person of Christ. In the voyage of Ulysses I see the struggle of the Baptized Christian. In Theseus' deliverance from the Labyrinth I see a greater deliverance by Christ who conquers not a Minotaur but the power of death, the devil and Hades itself. He's got the scars to prove it, but those are trophies, not weaknesses. He is the true Vine that Bacchus could never be. He is the Lord who thunders from Mt. Sinai and causes Gaea to quake at his crucifixion. He is the sum and total of all the things Greek and Roman mythology claim to be but fail to deliver. For He is the image of the invisible God, the firstborn over all creation. 16 For by Him all things were created that are in heaven and that are on earth, visible and invisible, whether thrones or dominions or principalities or powers. All things were created through Him and for Him. 17 And He is before all things, and in Him all things consist. 18 And He is the head of the body, the church, who is the beginning, the firstborn from the dead, that in all things He may have the preeminence. (Colossians 1). Even in these contemporary, reformatted young adult versions of Greek mythology there is a part of the story that points outside the myth to the greater and true story: the Gospels, where myth became fact, God became man. Not a demigod or a hero with an Achilles heel. But the pioneer of our faith, Christ, who was fastened to a cross - not to evade the Siren's call, but to answer it for us. To become sin and death for us. So that we might become sons of God. Not with special powers or super human strength, but heirs to an inheritance that bestows upon us the one thing that all the mythologies in the world could never offer - the one thing that really matters in the end: death and resurrection. All because of a perfect Sacrifice. Having read the previous books in these series, I know that sacrifice plays a proper protagonist's role in Riordan's story-arc and character development. But this is more than a plot device to move tension and literature to its end. Again, it beckons to the Ultimate Sacrifice. It's also an essential part of story-telling. Now, I don't know exactly how the story will end - although I have my guesses. And I am not sure who will fulfill the prophecy of seven ( a key component in the books) or how it will be accomplished, or if that will even happen in this book (it's the 3rd of 5). But I know it will take sacrifice, that much is clear. For this is one of the manifold joys - even the joy of the eucatastrophe - that successful stories bestow upon the reader: sacrifice. And more importantly, that's what makes our salvation successful, finished, and accomplished - a Sacrificial Savior. So, when the book is finished, I'll be sure to write about it. But for now...It's back to reading. And back to school. Now, get lost...in a book. Several weeks ago in the Brothers of John the Steadfast "ask the pastor" segment I wrote a brief response to a reader's query about what happens to those who die without having heard the gospel. Thanks to my friend, and brother in the Office, Rev. Joshua Scheer, I have found a few quotations from Luther, enough that a brief follow up post is warranted. Apparently, Luther had answered this question already and in far less words with far more wit than I did. Below I have reproduced several key quotations with some brief annotation, attempting to let the primary source document do the talking. The full letter, originally sent from Luther to a man by the name of Hans von Rechenberg, can be found in the American Edition of Luther's Works, volume 43 Devotional Writings II. According to the editorial notes in the preface, the letter was most likely written in 1522, perhaps in mid-August. There also appears to be a sermon that in the Weimar Edition of Luther's Works that is cited as having been born out of this letter which treats the topic at greater length. Luther opens the letter by phrasing the question in a brief historical context in addition to the alleged Scriptural proof of those who have erred in providing and answer to this question, namely, Origen, who taught that all men and angels, including the devil, will be saved. Clearly this question predates any modern use of it to critique or attack the Christian faith. My gracious lord, Count Albrecht of Mansfeld, etc., has requested me to instruct you, gracious sir, by letter on the question whether God can or will save people who die without faith. Thus after your many physical battles with unbelievers,﻿1﻿ gracious sir, I am to equip you with spiritual armor, with cogent and convincing proof, with which to confront these and others﻿2﻿ who might inquire regarding this question. For the opinion that God could not have created man to be rejected and cast away into eternal torment is held among us also, as it was at all times by some of the most renowned people, such as Origen﻿3﻿ and his kind. They regarded it as too harsh and cruel and inconsistent with God’s goodness. They based their opinion on Psalm 77 [:7 ff. ], where the Psalmist says, “Will God east off for ever, and never again be gracious? Has his steadfast love for ever ceased? Are his promises at an end for all time? Has God forgotten to be gracious? Has he in anger shut up his compassion?” [They also cite] Paul, I Timothy 2 [:4], “God desires all men to be saved and to come to the knowledge of truth.” Proceeding from this premise they argued that in the end even the devils will be saved and will not be eternally damned, etc., etc., one step following from the other. To arrive at an answer to this question it is necessary to separate our opinion from God’s truth. We must be scrupulously concerned that we do not give God the lie. We must rather admit that all men, all angels, and all devils are lost than to say that God is not truthful in what he says. Such questions issue from the innate inquisitiveness of human nature, which is so loath to reconcile itself to the fact that it is not supposed to know God’s reasons for such severe and stringent judgments. Our human nature is prone to conclude that if it were not God’s judgment that all men be saved, it would be an outrage, tyranny, and injustice. If God were to save anyone without faith, he would be acting contrary to his own words and would give himself the lie; yes, he would deny himself. And that is impossible for, as St. Paul declares, God cannot deny himself [II Tim. 2:13]. It is as impossible for God to save without faith as it is impossible for divine truth to lie. That is clear, obvious, and easily understood, no matter how reluctant the old wineskin is to hold this wine—yes, is unable to hold and contain it. In the previous paragraphs Luther also reveals his answer to the question. If faith and trust in Christ is lacking, then confidence and hope in salvation is as well for Christ does not save any apart from faith in Him since He is the way, the truth and the life. One other point is worth mentioning here. Luther takes great pastoral concern in answering this question. Who is asking? Why are they asking it? These are important questions behind the question and something everyone should ask when this topic comes up. 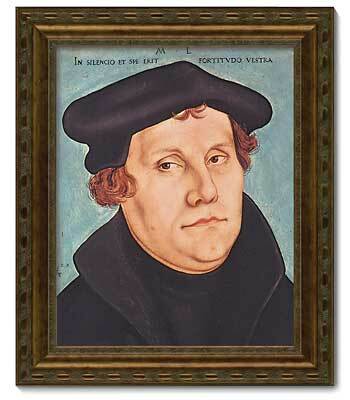 Luther’s compassion and concern is further expressed in the manner of the Christian to whom one is giving an answer. To the spiritual infant, Luther instructs us to leave this question for later catechesis. This question is best suited for the spiritually mature and those who have a great depth of understanding in the Scriptures and a great strength of faith so as not to be offended. Luther is careful, as we should be, not to trouble consciences who are weaker in faith, but rather, wait until the person is in a position – if they are not already – to receive the whole food of God’s word instead of the spiritual milk. The highest honor and love of God, yes, the highest degree of divine love and honor is that we can regard and praise him as being kind and just in such matters. Here nature’s eyes must be gouged out entirely and naught but faith be present. Otherwise terrible and perilous offenses will be unavoidable. And when (it is quite common that everyone wants to begin with the most difficult problems) those who are young and inexperienced in faith fall prey to this and want to see these things in a natural light, they are very close to falling into a secret repugnance and hatred for God. After this it is very difficult to counsel [them]. And in an intriguing – and momentary – series of questions, Luther inquires about whether or not faith can be given in other ways but quickly comes to the conclusion that there is no way to prove this and therefore we should not place our confidence in the mysterious will and works of God but rather in his revealed will in the humanity and suffering of Christ which give us everything we need to know for salvation and eternal life. It would be quite a different question whether God can impart faith to some in the hour of death or after death so that these people could be saved through faith. Who would doubt God’s ability to do that? No one, however, can prove that he does do this. For all that we read is that he has already raised people from the dead and thus granted them faith. But whether he gives faith or not, it is impossible for anyone to be saved without faith. Otherwise every sermon, the gospel, and faith would be vain, false, and deceptive, since the entire gospel makes faith necessary. Their quotations from the psalm that God will not keep his anger for ever, etc. [Ps. 103:9], with which they would prove their point, are not conclusive; for the entire psalm speaks about all the suffering of the saints on earth, as the preceding and succeeding verses and the entire context clearly show. It always seems to those afflicted with suffering that they are forgotten by God and that he would be angry with them forever. And the verse from St. Paul, that God desires all men to be saved [I Tim. 2:4], is related to the preceding words [which say that] God wants us to make supplication for all estates, to teach and preach the truth to all people, and to be helpful to all men both physically and spiritually. And since God commands us to do that, St. Paul says very correctly that it is God’s will that everyone be saved; for without his will this does not happen.﻿5﻿ However, it does not follow that God will save all men. And in case other such verses are cited, they must be viewed in this light. Otherwise, God’s providence and election from eternity, which St. Paul so emphasizes, would be null and void. Gracious sir, that is what my love for you prompts me to write to you. And I ask you, gracious sir, do not let the presumptuous and capricious spirits﻿6﻿ have their way in this matter; but, as I said, confine them to Christ’s humanity, and let them first gain strength and be taught until they have matured sufficiently. For why should the man Christ have been given us as a ladder to the Father if we ignore him and bypass him and presume to ascend to heaven and measure God’s judgment by our own reason? Whatever is necessary for us to know is taught us best in Christ’s humanity, since he is our Mediator and no one can come to the Father except through him. When Philip inquired for a way to the Father other than Christ, Christ told him, “I am the gate and the way” [John 14:6], for in him are hid all the treasures of wisdom and knowledge [Col. 2:3]. Herewith I commend you, gracious sir, to God’s grace; and I gladly offer you my Christian services at all times. 1 I.e., with the Turks. 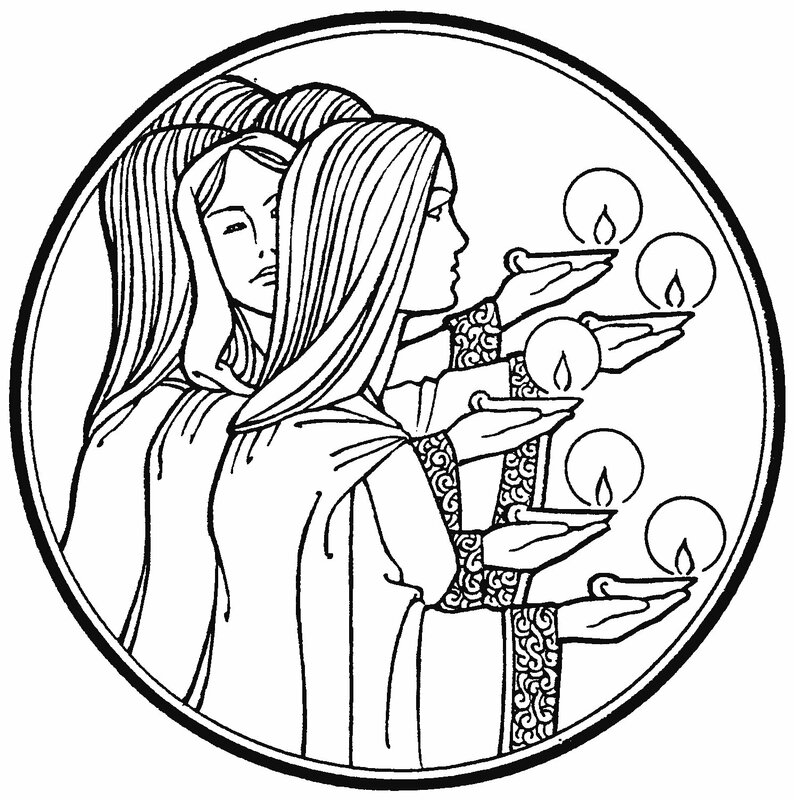 3 According to Origen (ca. 182–254) all men, as well as the devil, will be saved. Cf. De Principiis, I, 6, 1–4. 5 I.e., without God’s will no one is saved. 6 Cf. ﻿p. 49, n. 2﻿. 7 The date did not appear in the copies printed in Wittenberg. See pp. 49–50.